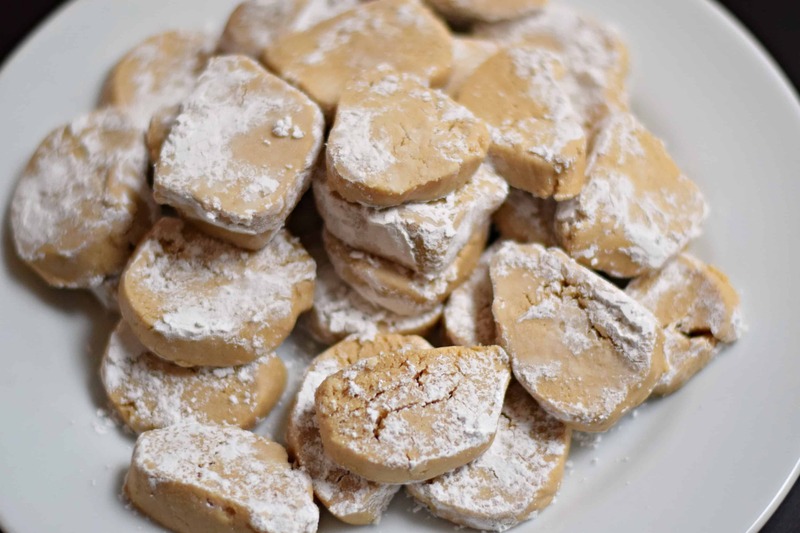 Cafeteria Peanut Butter Candy is an old fashioned goody you don’t want to miss! Do y’all hear the sound of a freight train rushing at you this time of year? Yeah, that’s Christmas. It’s not that I feel it is coming too fast, well not really. I mean December 25th always takes place the day after december 24th from what I’ve seen. 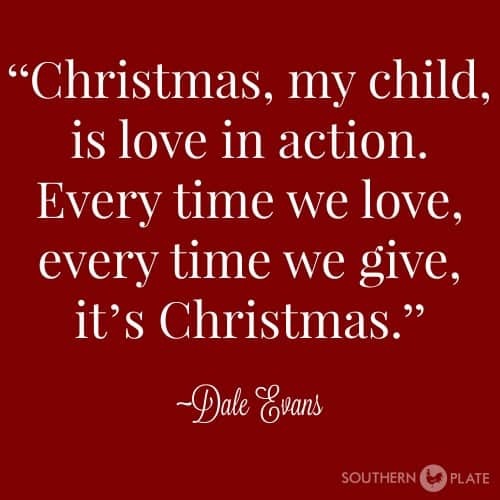 But this time of year there is just so much I want to do and experience that only happens during the Christmas Season that we end up with days packed to the brim as we take it all in. Oh how I love it though! Today I am sharing a quick candy that was a standard back in the golden days of school cafeterias. It’s peanut buttery good with the texture of taffy but without the stickiness. Kind of a peanut butter chew flavored heavily by peanut butter, milk, and honey : all favorite flavors in my house! This recipe is from a time when the lunch ladies were usually the mama of someone you knew and the hallways were slowly filled with the smell of soup stewing and bread rising as we watched the clock longingly and our stomachs got steadily louder the closer we got to lunchtime. I guess it’s good that lunchrooms aren’t like that nowadays because I’d be spending my time coming up with an excuse to hang out around one. Come to think of it, since we homeschool that makes me the lunch lady around here! Oooh what fun! So after posting these, I feel the need to answer the call to make Vegetable Beef Stew and Jordan Rolls! 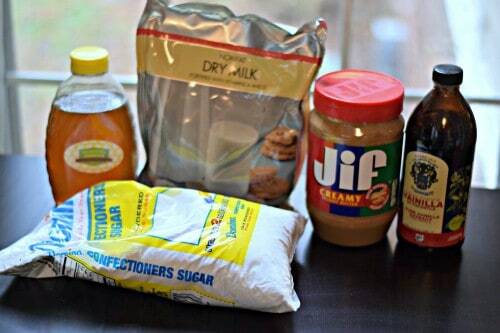 To make this, you’ll need: Honey, Powdered Milk, Peanut Butter, Vanilla, and Confectioner’s Sugar. This is a classic cafeteria recipe with very basic (and few) ingredients that relies heavily on what was once considered “commodity” foods. Oooh, while I’m thinking about it, you can substitute corn syrup or even pancake syrup for the honey if you would like or need to. I know honey can be on the expensive side these days so do what you need to do. Take all ingredients and put them in a big old mixing bowl. Okay, so I’m predictable. There is a lot to be said about being predictable in today’s world, though, so I’ll take it :). 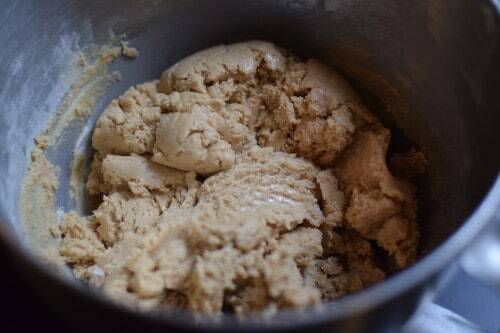 You want to mix this, scraping down the sides if you need to, until it is well blended and a stiff dough is formed. 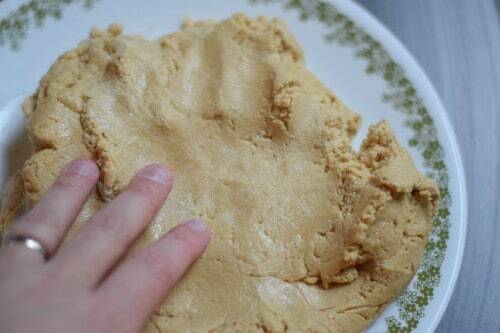 Put that dough on a large plate and knead it a few times with your hands just to help it all stick together. If you have a pinch of it to taste, I won’t tell. It’s awfully good! Separate that into two halves and roll them out into two logs. Wrap those in plastic wrap or place in a large plastic bag and seal. Place this in the fridge until it is well chilled. This is going to depend on your refrigerator. An hour-ish or so will probably do it. Once cold, slice into 1/4 inch slices. Dip those into a little confectioner’s sugar so that they won’t stick together when you put them on a plate. Enjoy this old fashioned creamy, chewy candy! 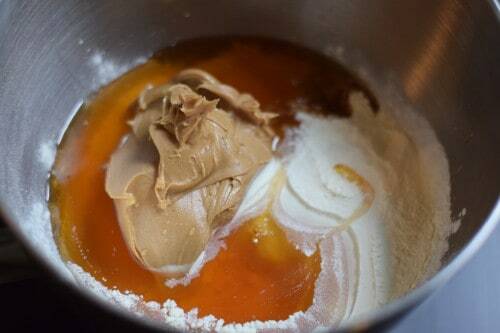 Place all ingredients into large mixing bowl. Beat with an electric mixer until well incorporated and a dough is formed. Remove from bowl and knead a time or two with your hands. Separate into two halves. Roll each half into a ball and then into a log. 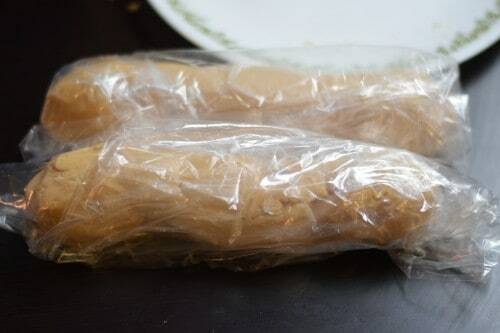 Cover each log with cling wrap or place in a large zipper seal bag. Refrigerate until thoroughly chilled. Slice into 1/4 slices and dip each slice in confectioner’s sugar before serving. Store remainders in the refrigerator. This is an old recipe that was a standard in many school cafeterias in days of old. Yum! Such sweet childhood memories. That was at a time when the cafeteria ladies were allowed to actually cook amazing tasty food. Like the peanut butter cookies and the hot rolls Do not to forget the hamburger soup or the tomato soup and grilled cheese days! It was all so wonderful back then! oh my goodness, you made me even hungrier! The food was always so good, and cooked with plenty of love, too! I wonder that same thing Aileen, times sure have changed! Aileen, I love old school recipes,could you share the recipe? Thanks Christy for your old school recipes. Aileen from working at a school as an aide. The cafeteria ladies had to start cooking by government rules and recipes. Which meant no sugar only fruit in juice for dessert, no salt, no butter to season things. Very little seasoning were allowed period even in the spaghetti or sloppy joes. They had to use the government issued meats for most meals, Condiments were only allowed to be given if on the menu then only the listed ones. Ketchup could be counted as a veggie. This was in 2010 so I;m guessing it is worse now with the obesity laws. But I think obesity comes from handing a kid an electronic instead letting them go out and play and using their imagination. We ran and played outside all the time. Used our imaginations to make houses from leaves, sticks, etc. those were the days. Good ol’ days! Aileen, I would love to have your recipe for peach cobbler. Many thanks. Oh my goodness, could you please share the recipe? Thank you! And Merry Christmas! The sad thing for me is fue to one of the reasons behind the change. They had to reduce the calories in the school cafeteria food, not because the food was necessarily unhealthy, but to compensate for the fact that kids aren’t able to burn off the extra calories anymore. Schools began allowing the kids less time to take a break from their seats. Less time to move or exercise in order to rid themselves of extra calories and energy. They find that drugs make them easier to maintain. I’m not saying that some people and kids don’t need pharmaceutical help. (One of mine takes an ADHD medicine.) I just don’t think it should become a substitute for every child just because it makes them more compliant and easier to deal with. Our children should again be allowed to run off a lot of that energy and therefore the calories. It’s not so much a health issue as they try to say. It even causes a new issue. Most kids would rather not eat anything than eat the school food of today. I’ve tasted it and even I don’t blame them. I do believe, however, that this will just cause worst problems for them in the future. Let us all push the schools to give our kids back that much needed energy/calorie burning time that they need so much. Have them slow down on the 1-2 hrs of homework per each 4-6 classes that fill up any free time they might have had after school. Let’s push to keep them from continuing to the cut the P.E. classes, or even the music and art programs from the schools. These are all extremely important for our children and their futures. How much powdered milk is required? 1+3/4 cups? ack! I forgot to add “cups”! You are right and thanks! I added it now 🙂 I appreciate you having my back! Is the powdered milk dry or prepared? 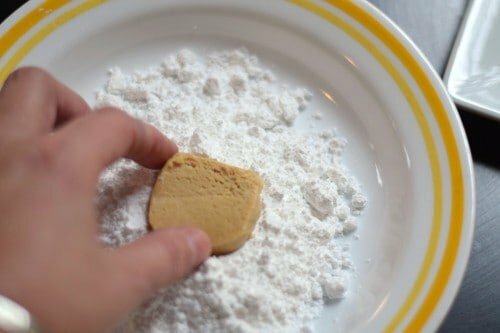 We used a recipe like this one to make peanut butter playdough! So good! Oh I remember the wonderful cafeteria food at my school with such fond memories. The vegetable soup was always so good, as were the peanut butter cookies! I am going to have to make these …… Thanks. I’ve made these for years using white corn syrup. A great grandma now so I make them for the greats, and me! A treat that’s pretty good for the kids. Gotta try this…Looks so good. Now, my mom was a cafeteria manager for 25 years but this was never made. However, she did make all of her rolls, hamburger and hot dog buns and cinnamon rolls. She was an outstanding cook and known for her cooking here in Vicksburg, Ms.
Shirley, in MS they were peanut butter balls rolled in granulated sugar or crushed corn flakes. This was in the 60’s. Ours were rolled in chopped peanuts. These look so good, and I love peanut butter! I will be making this candy along with Truffles. We had this at our grade school in the fifties. I loved it as we did not get much candy at home except at Christmas. Lunch was always home cooked in the cafeteria kitchen and the smell wafted enticingly through the halls. Lunch was 25 cents. If you brought your lunch from home you could purchase the half pint of white milk for a penny and chocolate milk was 2 cents. Lunches in this area are now frozen purchased product and are generally pizza, chicken nuggets, burritos, etc. . Nothing like our creamed chicken over biscuits, sloppy joes, and chili. I too had these peanut butter candies during the fifties. Have tried several different recipes that claimed to be the same but were not up to lunch room standards. I think this one is ‘it’!!! Boy these just sound yummy….. my g’kids have nut allergies…. I wonder if I could use sunbutter ? this is what we use for them… maybe someone knows the answer ?? Peanut, pecan and walnut allergies in our family, too, Adeline. Because I was already planning a day of candy-making, I decided to try this recipe. Since this was a trial run, I made half the recipe with Sunbutter, and half with No Nut Butter, a peanut-and-tree-nut-free substitute made from peas. It is made by “The Sneaky Chef” and is sold in the Publix grocery chain here. Anyhoo, both substitutions worked splendidly, making delicious candy with just the right texture. My personal preference, taste-wise was the one made with Sunbutter, but that may be just me. Although I went to a score of schools (in the lunchroom era), and a great-aunt was actually a “lunch lady”, I never encountered this candy, so perhaps not the best to judge how close the substitutions are to the real thing. But it’s good, and you certainly won’t go wrong substituting Sunbutter for the peanut butter. Also want to say a HUGE thank-you to Christy for the faux pecan pie recipe. Not only can the allergics in the family enjoy “pecan” pie now, but the rest of the family actually asks for it rather than the real thing! I just read your answer and WOW …. I want to thank you so much ! I too have never heard of or eaten this candy so very eager to make it. I agree with you on the Faux Pecan Pie…. yummy. I think that they would be pretty rolled into balls. I guess you could still roll in the sugar. I have thought about these for years and could never find anyone of the generation of lunchroom or restaurant cooks who had any idea what I was talking about. Thank you!!! Are these anything like the Mary Jane candies? To more closely duplicate the flavor of Mary Jane candies, substitute a mixture of 3/4 cup corn syrup + 1/4 cup molasses for the honey. 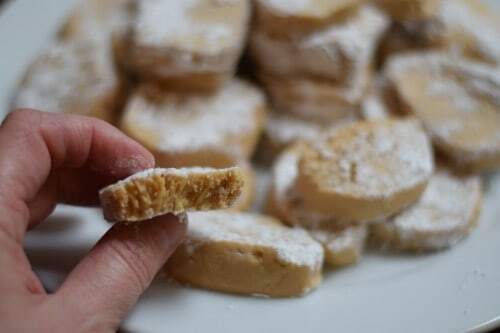 Everything else remains the same…one of the few candies my grandmother would make because it was a “no cook” recipe. My mother-in-law introduced me to a candy she used to make, but later she would buy from a friend. I believe this would be the missing piece of the puzzle! Her candy was made “with potatoes” and peanut butter, but the peanut butter was a thick layer not the smear of PB as your potato candy recipe. I wonder if this recipe could be the peanut butter layer. …. Ohhh, have fun experimenting and let me know how it turns out!!! Our family always makes “Potato Candy” at Christmas. Type in “Old Fashioned Potato Candy” in the “Help you find something” line on Christy’s recipe page and she tells you about it. It’s wonderful! 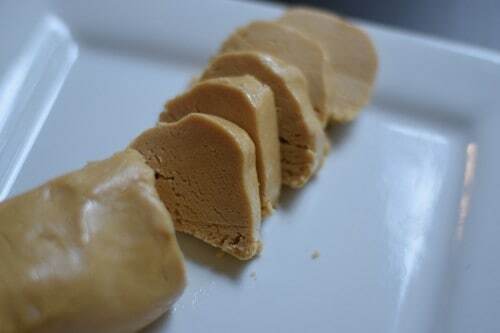 This Cafeteria Peanut Butter Candy sound really good. I may have to try it, too. BTW – My neighbor was a cafeteria lady; her wedding gift to my husband and I was to cater the family gathering at my house post wedding reception. She was a jewel. She taught me to knit, love dogs, and let me practice life skills on her grandbaby. What a wonderful lady, neighbor and friend!!! Looks delicious. Must try !! This is a dumb question but where in the grocery store do you find powdered milk? I have looked for it before, for other recipes (obviously I didn’t look too hard) but could never find it. Is it near the baking supplies or ??? Jen, I think it depends on your individual store. The store near me reorganizes things several times a year, and it can be hard to tell where something “ought” to be. Baking supplies is a good place to look. If I were you, I’d ask a clerk for help. I buy my powdered milk online because I prefer whole milk, and all the stores here carry only fat-free. In my grocery stores in Dallas, Tx, the powdered milk is usually by the chocolate syrup/hot chocolate mixes. That’s at several different ones I go to. Sounds so yummy. My husband loves crunchy peanut butter so I think I will try this and substitute crunchy peanut butter for the smooth. 🙂 I hope he loves it! Do you think it would work if I replaced the powdered sugar with Splenda and used sugar free syrup ? Dee, I bet it will work just fine. If the splenda is the grainy kind, maybe run it thru a blender or food processor to get it more powdery. Wouldn’t it be pretty with Sparkly sugar too! Christy these look fun and delicious just wondering do they have to be stored in the fridge ? Was wondering about putting some in goodie/gift packages I mail ? Hey, I can’t get a reset on my instagram, therefore I can’t find a place to private message you about your foster kitty. Please let me know how to get in touch with you. I’ve make these for many, many years using corn syrup instead of honey, bet that changes the flavor just a bit. I don’t even fool with the rolls anymore, just make it and pinch off balls of and eat! I’m the only one who likes peanut butter at home so I can get away with it, LOL! Learned how to make potato candy from my grandmother when I was young, a long time ago! One of my daughters loves it but boy is it rich! Have a great Christmas with your loved one Christy, and God Bless! Christy, back in the 40’s & 50’s we made this and then rolled in Kellogg’s 40% Bran Flakes. You can’t buy 40% bran flakes anymore. I can’t remember what I used the last time I made it. Christy, I want a Hamilton Beach Planetary Stand mixer. Which is the best one to buy? Oh my, this has totally taken me down memory lane. I remember our cafeteria ladies making something very similar. Instead of making individual pieces, they would give us a scoop alongside of a warm roll….mmmm so good. 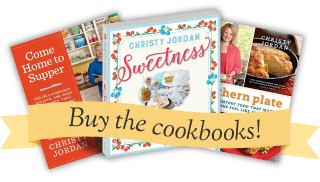 Hi Christy, I want to tell you I LOVE love love your recipes; they bring back wonderful memories of my childhood, and family get togethers with LOTS of delicious cooking. This one piques my interest because it mentions cafeteria food. 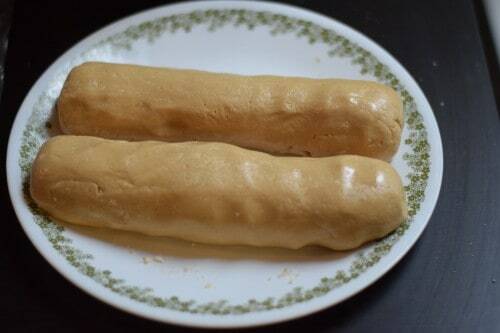 I could almost swear I saw a recipe you posted called “Jordan rolls” that were based on the bread that used to be served in cafeterias. I used to LOVE eating that stuff, especially on spaghetti days. I would make spaghetti sandwiches, and the other kids thought I was nuts. The bread was THAT good. I can’t find that recipe on your site and was wondering if you could help me? I know you’re crazy busy, but I would really appreciate any help you could give me. Would you be able/willing to email it to me? Thank you! This sure reminds me of the yummy Peanut Butter Confection that was served in the 70’s and 80’s in schools in my hometown of New Albany Indiana. Me and quite a few friends have been searching for a long time for this recipe. Our cafeterias served it in a scoop in a cupcake cup. Everyone would ask if you were going to eat yours. Some kids would even offer a quarter or 2 for your piece. Thank you so much for this recipe. It really brings back happy memories. 🙂 It was the same here DanaLynn, we all loved it and wanted extras. I hope you get the chance to try them soon!!! Yum mm, all of this talk has made me really hungry for the cafeteria food we had in the 50s-60s. We had such good food, the best apple crisp anywhere and I wish I could get the recipe somewhere. They didn’t use oats on top like most recipes do today, just crispy brown sugar. Home made peanut butter cookies. Lunch was 25 cents and milk was 5 cents. We would save the milk money for stuff we wanted to buy after school. Those were the days.